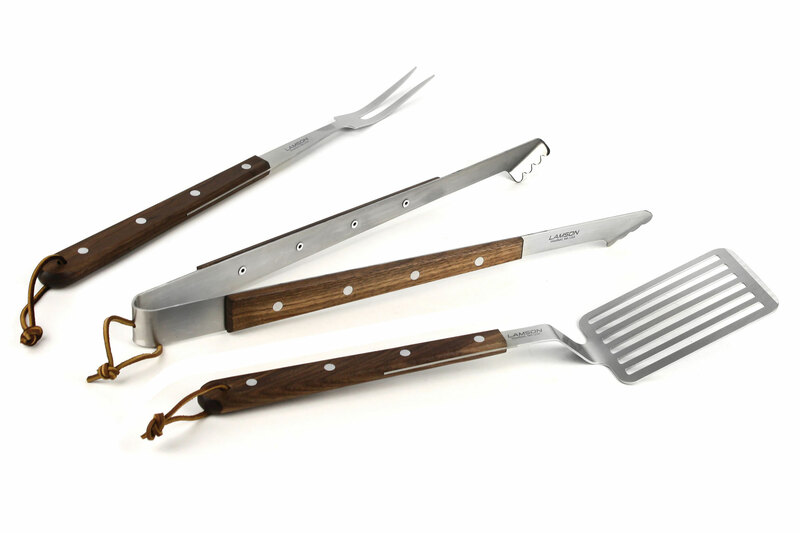 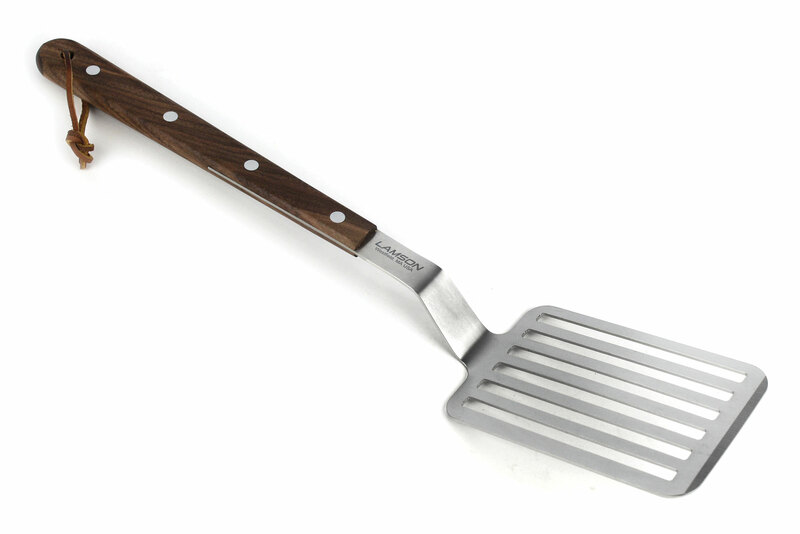 The Lamson Premier Walnut Handle BBQ Tool Set includes a 17-inch Fork, 17-inch Turner, and 17-inch Tongs. 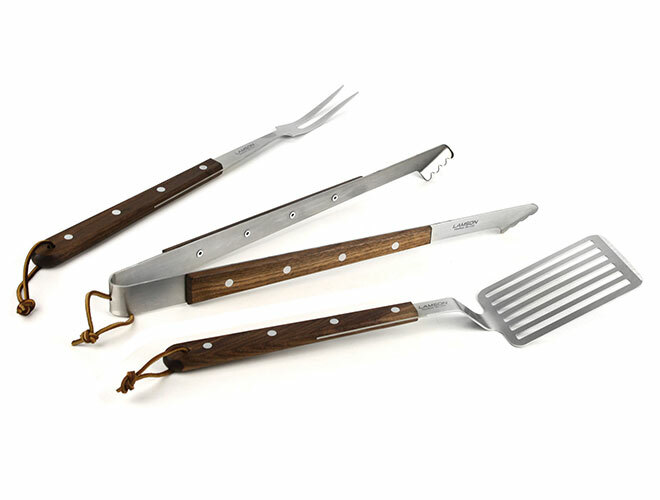 Lamson Premier Barbecue Series combines high quality with superior performance to enhance your grilling experience. 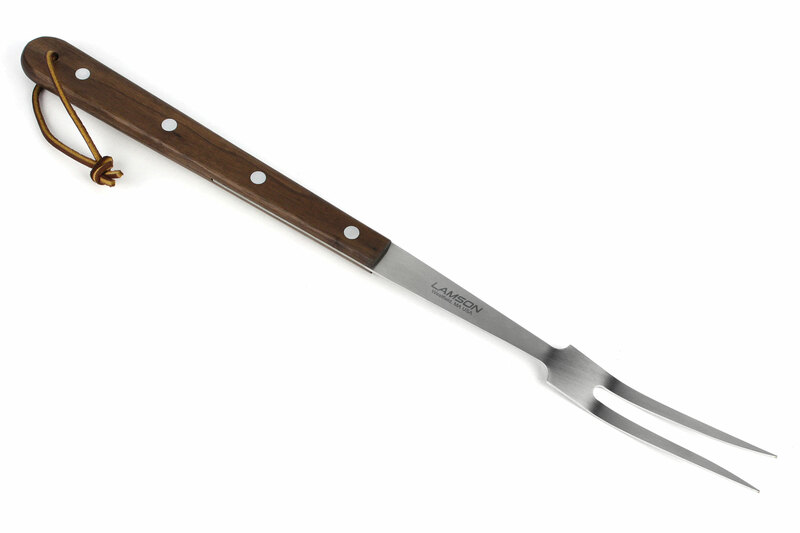 Each BBQ tool is expertly hand crafted with a smooth walnut handle with silver rivets that transitions to a rugged and thick stainless steel, designed to withstand the heat of the grill. 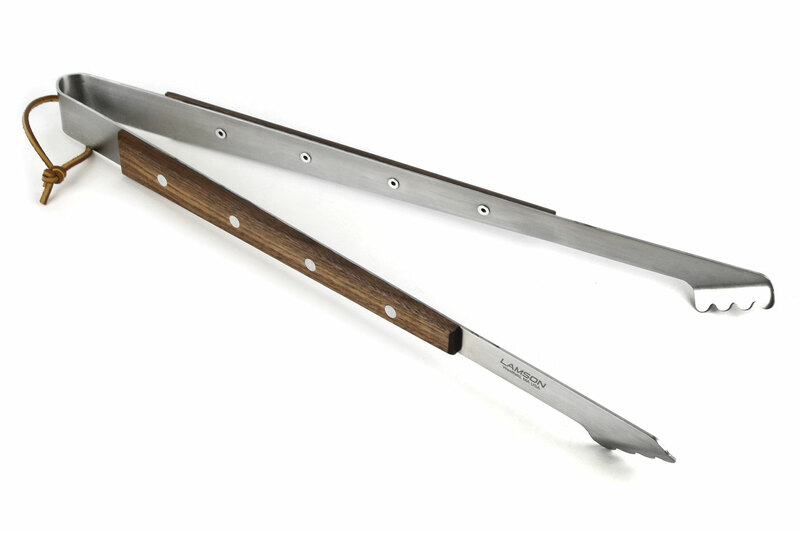 The extra-long handle protects the hand and the weight and rugged construction speaks to the Lamson workmanship and superior quality.